This fantastic property is located in a complete estate within 7 minutes of the centre of Hua Hin, soi 88. This is a town house located in Hua Hin Soi 102. A 2 storey commercial Building. The location is close to the Hua Hin town. This stunning 2 storey property has recently been made available for rent. This bungalow is located on the scenic “Khao Dang” mountain’ just 5 km west of HuaHin town. The legacy HuaHin houses guarantee that the biggest house in this living area 110 sq.m. land area up to 200 sq.m. This is a town house located in Hua Hin Lavallee Town,Location Hua Hin Soi 70. This is a very large town house located in Hua Hin Town. Hua Hin Emerald Resort 2 is an elegant style housing project, just a short drive from the town of Hua Hin, situated on 30 Rai. The property is located in soi 88 where it takes approx. 15 mins from the central of Huahin. This is a very nice fully finished with a beautiful garden where you can take a rest in every time of the day. The property is located in soi 70 where is near by the Black mountain Golf course. A Brand New beautiful villa is located in the town center. Three Storey Townhouse For Rent. 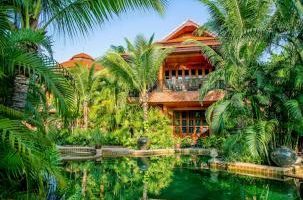 Stunning Thai - Balinese villa with very private pool & spa. This luxurious beach house has just completed some major refurbishment. It is brand new! This stunning house is situated in a quiet area, just 15 kilometers south of Hua-Hin, with mountain and beautiful lake views. Fully prepared with all modern conveniences that you might require. Fully stocked kitchen with all appliances. Stylishly planned tropical homes from a reputable, distinguished and experienced developer. Situated on a well landscaped 552 square metre block. This modern and beautifully furnished villa is situated to the west of Hua Hin, approx. 6km from the Centre of town. This wonderfully spacious and welcoming home can be found on Hua Hin's Soi 102 in a scenic and quiet area. This is a very big house placed right on the beach in the middle of Hua Hin. 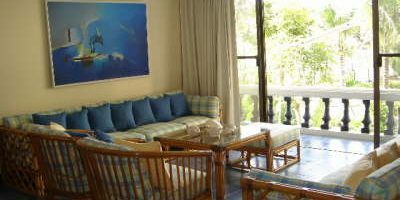 This modern and beautifully furnished villa is situated to the North of Hua Hin, approx. 6km from the Centre of town. This private bungalow is situated in Soi 114 only a few kilometers to the Market Village. One of the most beautiful condo by the most famous developer company in Thailand. "The Trust"
condominium with a pool view balcony. This unit offers 70 sq.m on the second floor in a very popular building near to town. The project is a new modern building where it is located in Takieb area. This is Condominium livin with a Tropical Concept, the design comes from the true essence of Hua Hin.